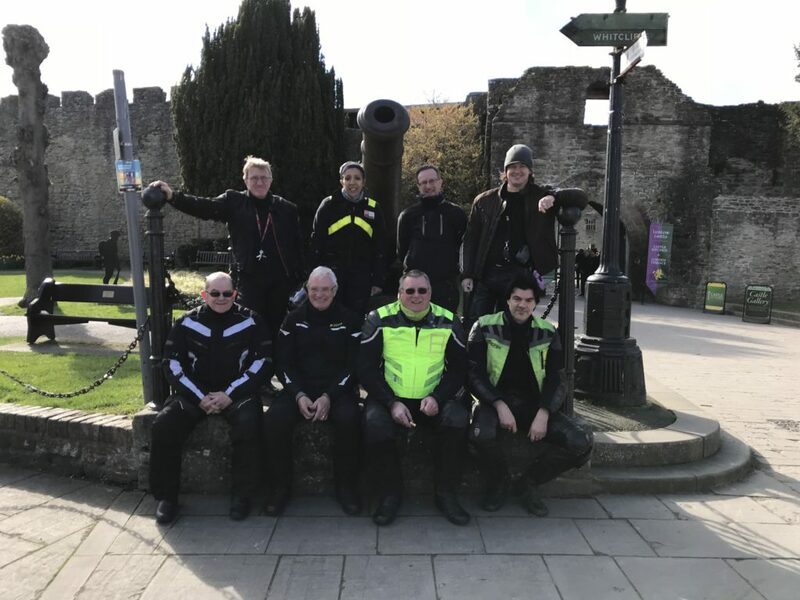 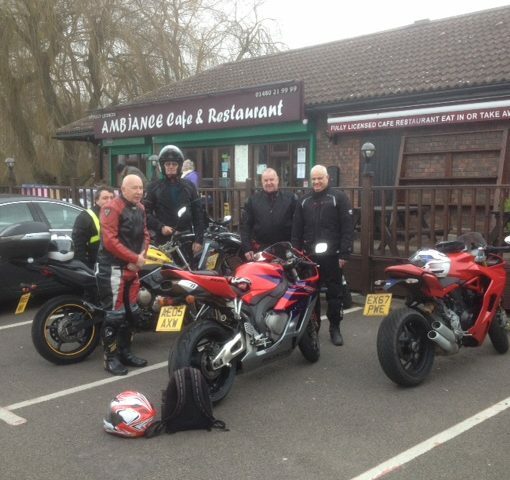 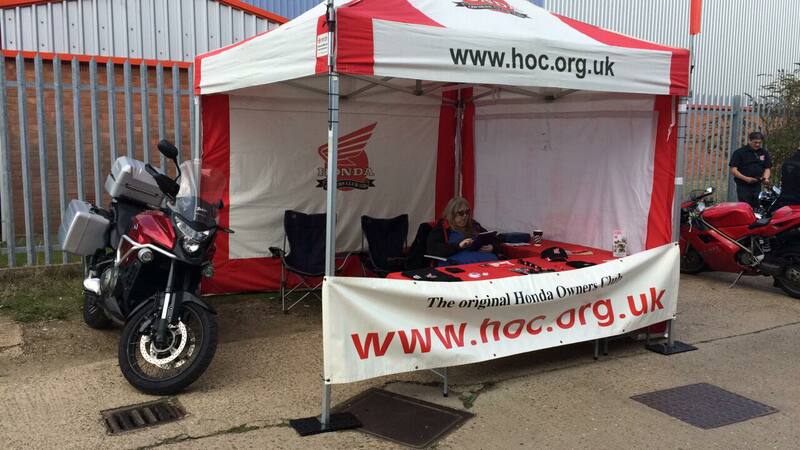 10 members of the East Midlands HOC on 9 bikes took advantage of a beautiful spring day to enjoy a ride out to Ludlow. 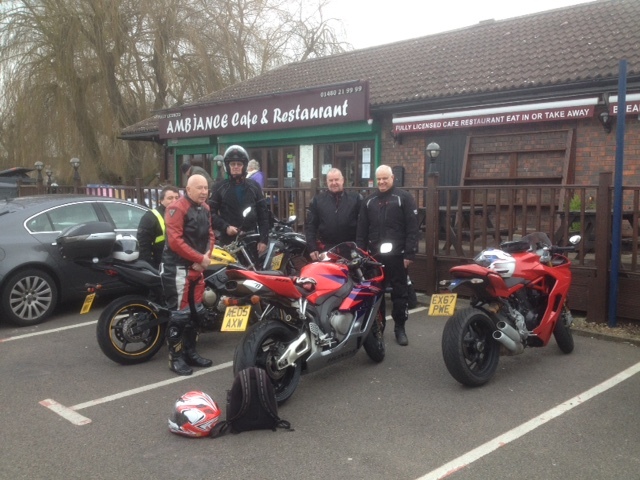 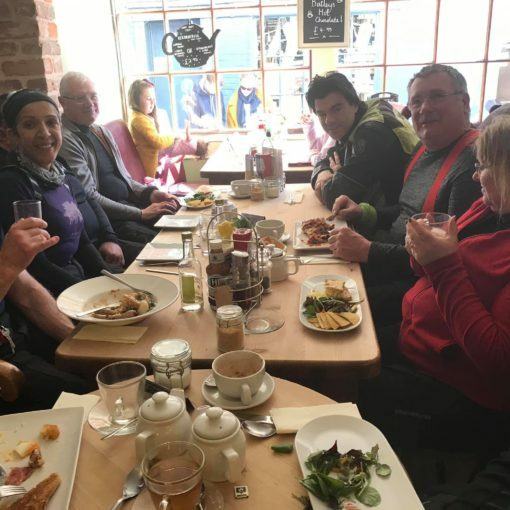 Using primarily small A and B roads throughout the group left Willington and enjoyed a few hours on twisty quick roads to get to Ludlow for lunch with a mid route coffee and comfort stop near Shrewsbury. 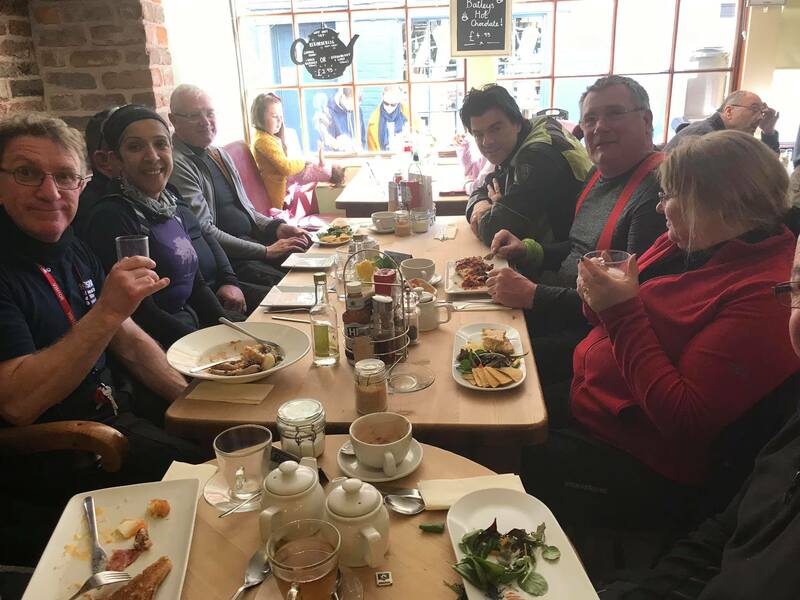 After a delicious lunch we started our return journey passing through Cleehill (which has a wonderful view of the Shropshire countryside with Worcester in the distance). 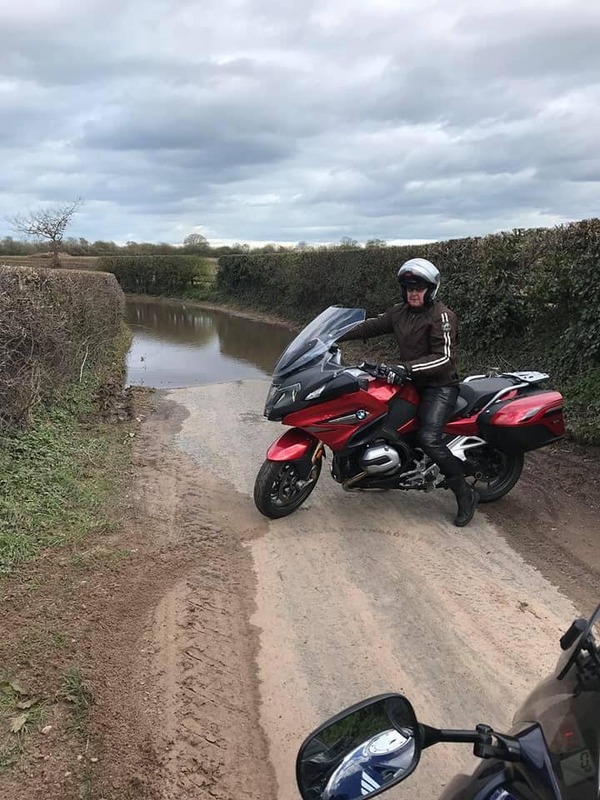 A couple of road closures (one due to serious accident and the other flooded) provide additional challenges for the satnav to cope with but all the roads it directed us down had lines down the middle. 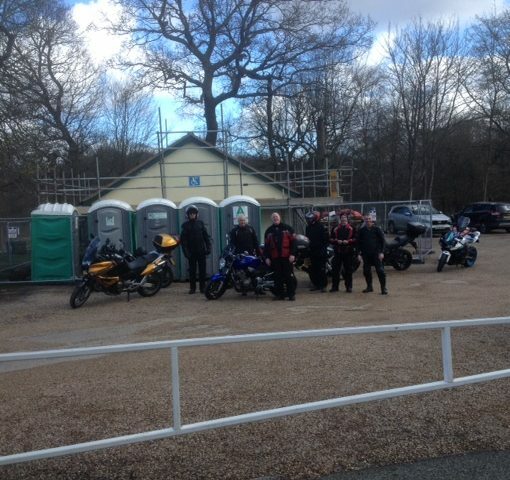 Whilst the majority of the lines were white some were grass and others gravel. 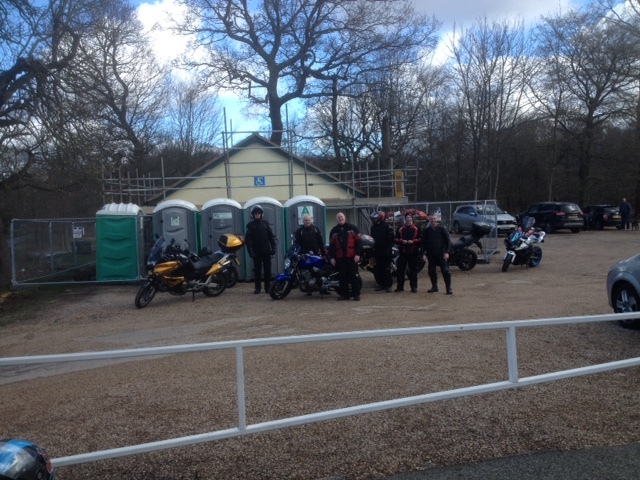 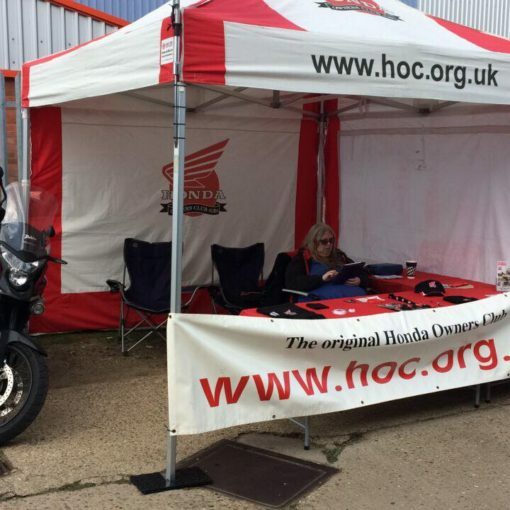 Still, we all arrived home safe and sound with a grin on our faces.